PMNRF.gov.in - Everyone is hearing about PMNRF nowadays. PMNRF is nothing but Prime Minister National Relief Fund, which is used by Prime Minister for natural disasters like flood, earthquake, storm or any other natural disaster. Prime minister has rights to use it where he/she wants. Also, PMNRF also used to help poor people in need. One can contribute to PMNRF via online or offline, below is detail explanation about Prime Minister Relief Fund. Here we are explaining how to donate/contribute in PMNRF, list of payment gateways in PMNRF, FAQs related to PMNRF, and much more. 1. How to donate/contribute in PM National Relief Fund (PMNRF) Online? 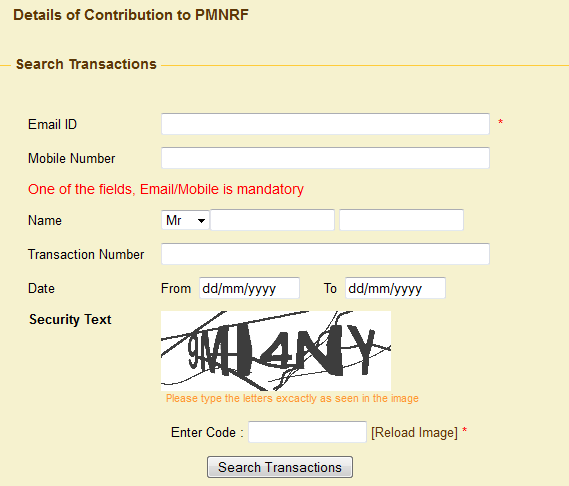 - To donate/contribute in PMNRF, one need to login at https://pmnrf.gov.in/payform.php. - Fill the application form with basic details, your name, address, phone number, email address, an amount to be contributed. - Accept the terms and condition of PMNRF. - Select your Payment option. You can choose, debit card, Credit card, debit card + ATM pin or Net Banking. (Check the list of banks which are supported for net banking payment). 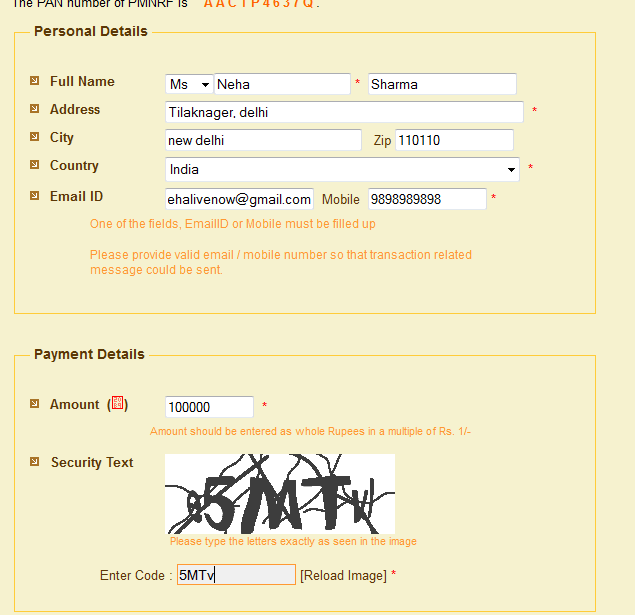 Once the payment is successfully done, you will receive email as well as message on your mobile phone. 2. FAQs Related to PMNRF. Q:- Is this donation taxable? A:- No, not at all. you can claim this donation in IT Return 80(C) form with PAN NO. AACTP4637Q to waive of tax. Q:- Is it perfectly Secure way to donate? A:- Yes, the PMNRF site is secured with Secure Socket Layer (SSL), which is perfectly secure, your information won't leak anyway. Q;- How much transaction charge will be applied? A:- None, its free, no transaction charge to be paid. However, some banks may levy the net banking transaction charges, which may vary from bank to bank. 3. How to check my Transaction History with PMNRF? 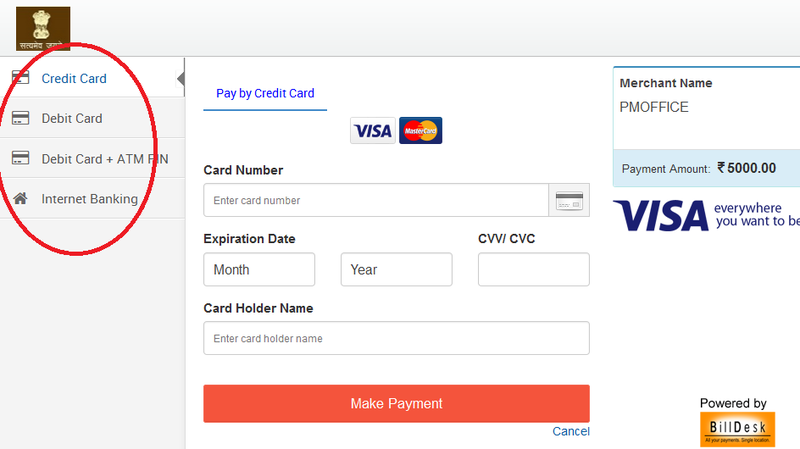 One can check their payment or transaction history by entering transaction number along with mobile no and email id (which is used at the time of donation) at this link. Check below image for more clarification. 4. How to contact PMNRF for any other clarification or query? One can reach or contact to PMNRF team by filling contact us form at this link. 5. How to pay offline in PMNRF? Offline payment Receipt for donations received shall be sent by Post. 6. How to request money to Prime Minister via PMNRF? One can also request for financial help to Prime Minister Relief Fund via filling simple application form. Just download the application form from here and you need to send duly filled application form at Prime Minister’s Office, New Delhi 110011 Address. Do mention and fill all the fields of PMNRF Request form. 7. Total Funds in PMNRF till date? In year 2014-15 (upto 31-03-2015), total received amount is 485.72 (Un-audited). As of now total Rs. 2338.78 cr are Balance in PMNRF Fund. For more information about the contribution and spending of PMNRF, you can visit this official link where more questions are answered.